The Soul’s Journey, tarot book by James Ricklef, reviewed December, 2013, on my tarot news site. A video review is included. Conscious Spirit Oracle Deck, oracle deck reviewed in September, 2013, on my tarot news blog. A video review is included. Renaissance Tarot, tarot deck by Brian Williams, reviewed July, 2013, on my news blog. A video review is included. 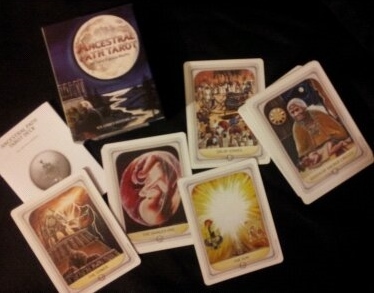 This tarot deck was reviewed June, 2013, on my tarot news blog. A video is included.